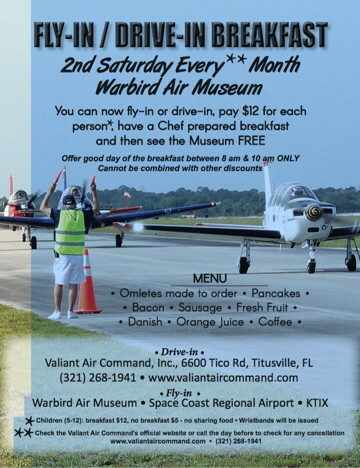 "TO HONOR THE PAST, EDUCATE THE FUTURE, PRESERVE OUR HERITAGE"
Pilots and public enjoy camaraderie among real warbirds while enjoying a delicious breakfast. Pass the word to our pilots and friends! New paint job. 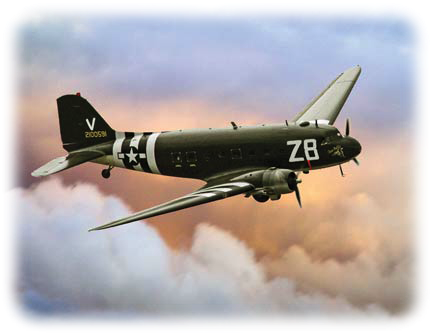 Z8 is the actual alph-numeric code that represented the 84th Troop Carrier Squadron (TCS); somewhere along the line they had her "sister" unit's U5 ... which for years we thought was us. 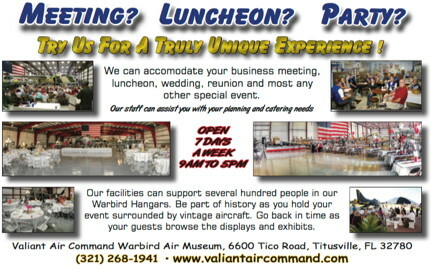 The Valiant Air Command Warbird Air Museum has exhibits, displays, artifacts and vintage warbirds from WWI through the present. 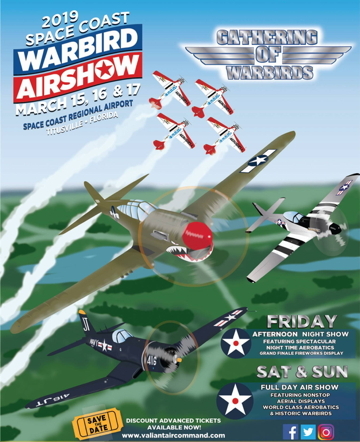 A great opportunity to see a unique collection of venerable aircraft and learn about the legacy of the pilots that flew them. Come out, take a tour -- and become a part of history. Does your Organization have a special event coming up? From I-95, traveling from the south, take Exit 212 (SR 407) to end; Turn right (East) toward Kennedy Space Center on SR 405 (see below). From I-95, traveling from the north, take Exit 215; Turn left (East) at end of ramp on SR 50; Merge into right lane; Turn right onto SR 405, toward KSC (see below). Go East on SR 405, past the Sunoco & BP stations .8 mile; Turn right (South) onto Tico Rd, museum is on the right. 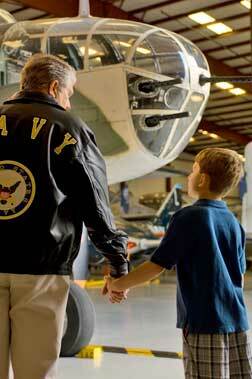 The museum is located on the Space Coast Regional Airport, Titusville, Florida.